Dara Caponigro's first issue of Veranda as Editor in Chief did not disappoint. 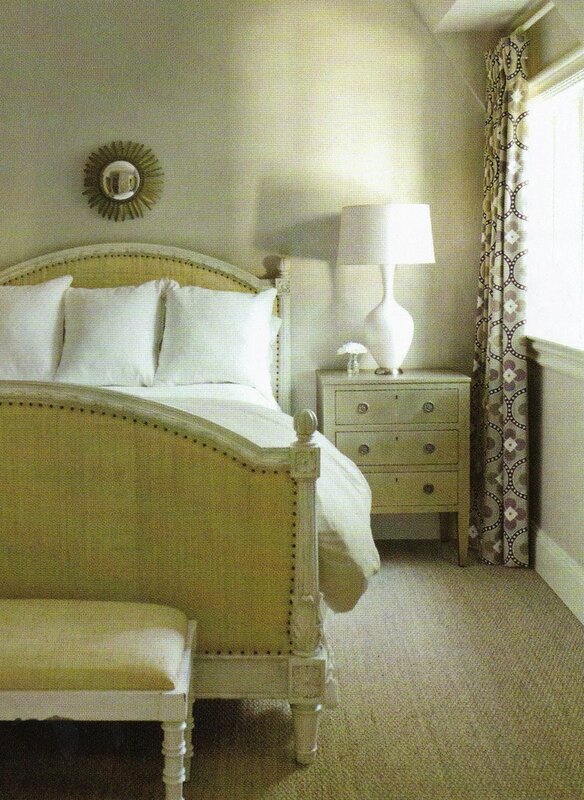 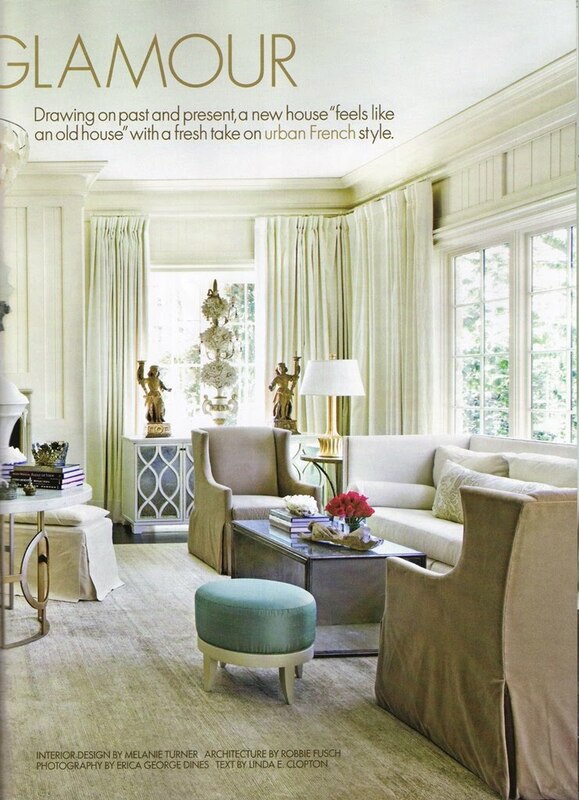 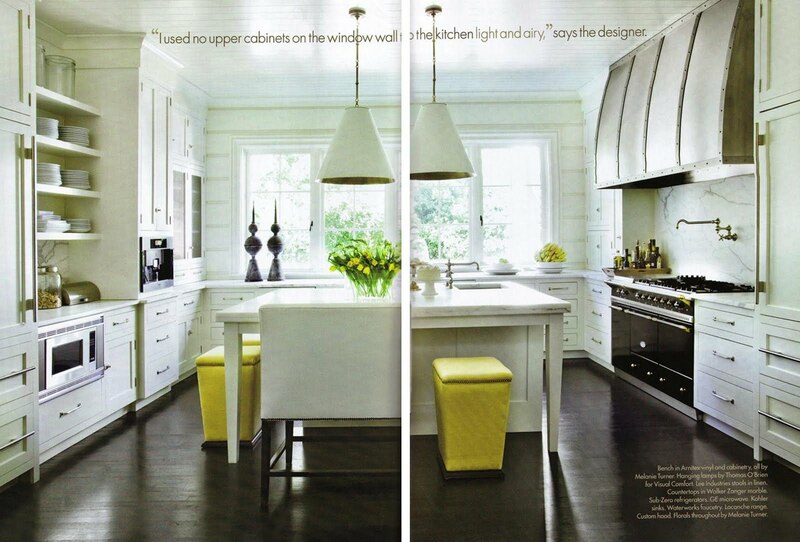 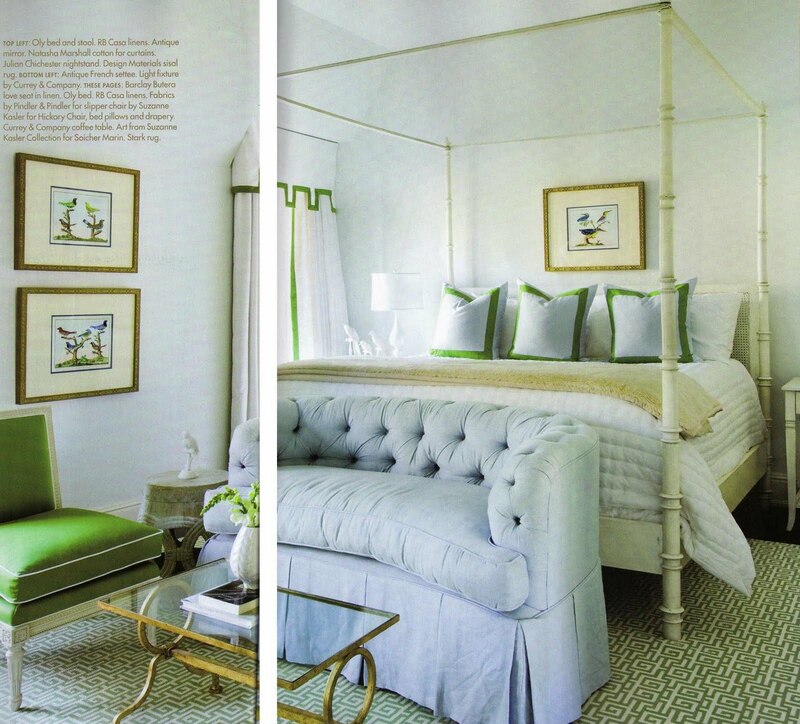 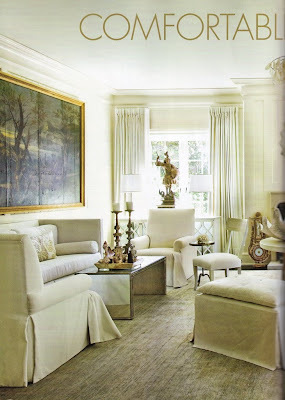 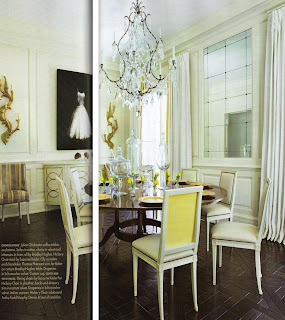 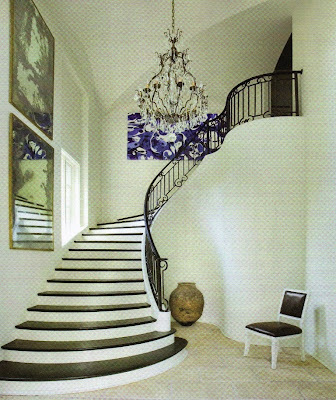 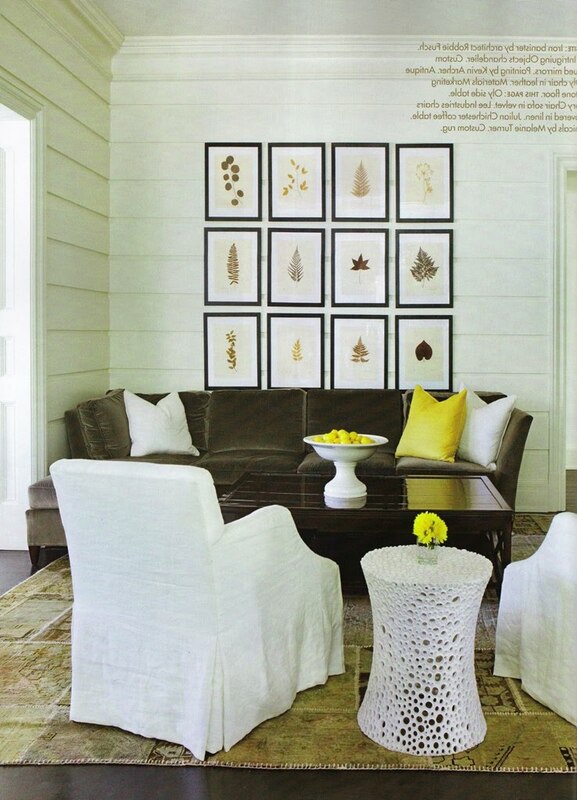 September 2010 is a fabulous issue, and I couldn't resist featuring this very French inspired home. It belongs to Atlanta based designer, Melanie Turner, and it is a true reflection of life on the glamorous sized. 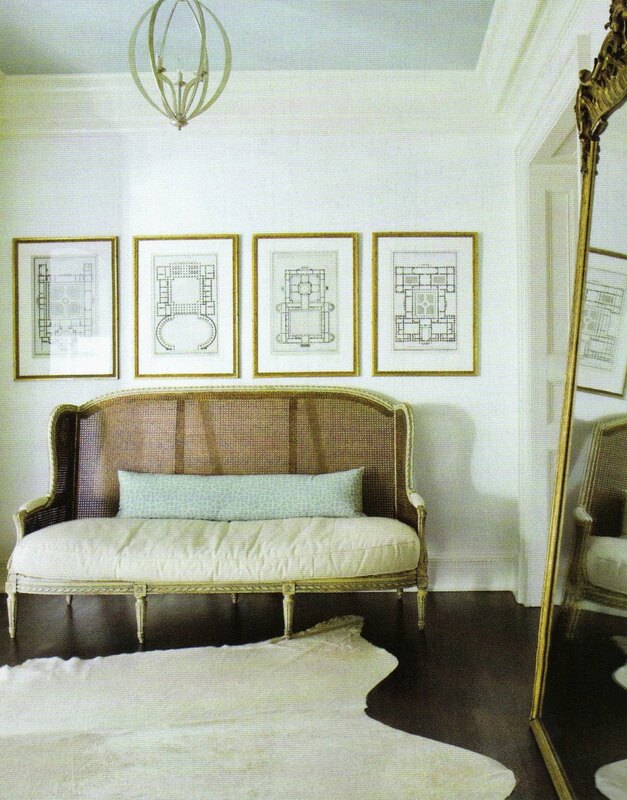 Very polished, but relaxed and inviting. 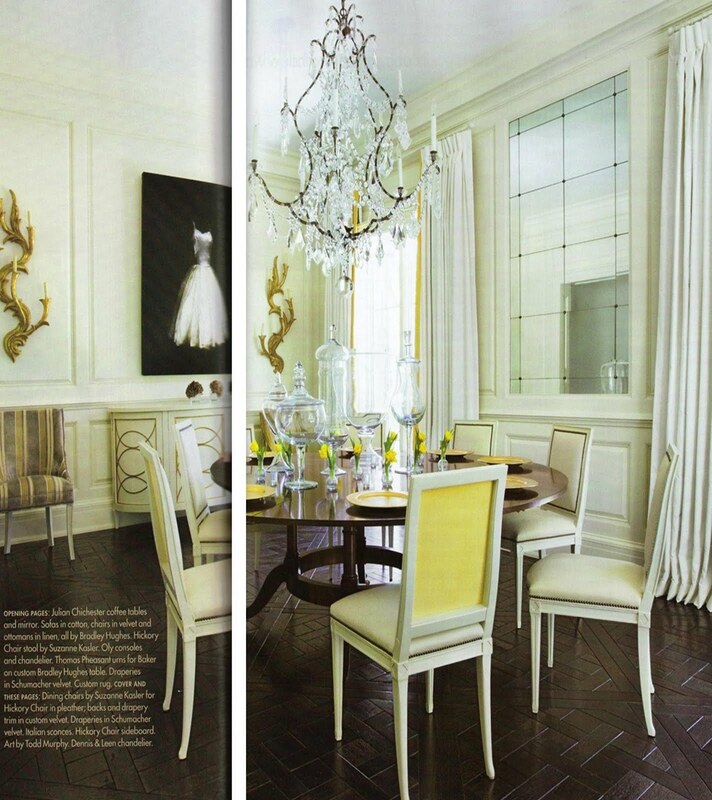 The image above made the front cover and it's not surprise, The dining room chairs are brilliantly covered in white, with exception of the back that is covered in yellow velvet. 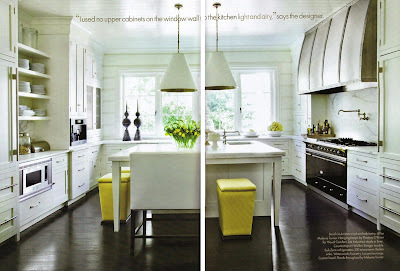 The chairs are Suzanne Kasler, (of course, that is why I love them) The yellow colour scheme is carried through the kitchen and to an adjacent sitting room. Hickory Chair Velvet Sofa, and this great side table by Oly. 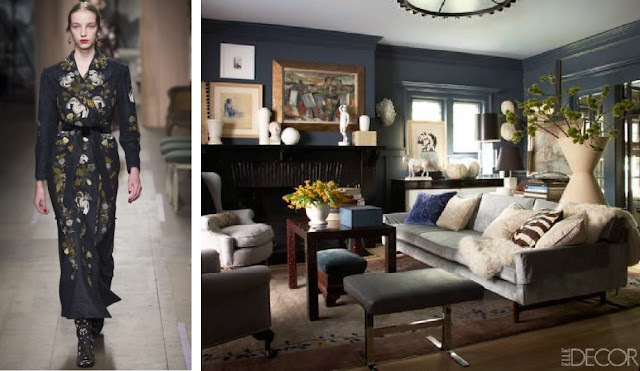 Melanie Turner's home is filled with contrasts of modern and antique, light and dark (especially with dark stained floors and white walls) and glamorous and ultra comfort.